A Broward real estate broker was sentenced to 41 months in prison, three years’ supervised release and ordered to pay $4,029,892, in restitution to victims in three separate fraud cases. Christopher Wayne White, 44, of Fort Lauderdale, Florida, pled guilty on November 21, 2014 in Case No. 14-60283-CR-Dimitrouleas to one count of wire fraud. According to documents filed with the court, White made numerous false statements to the mortgage lender in connection with the purchase of a luxury home on Sea Island Drive in Fort Lauderdale. 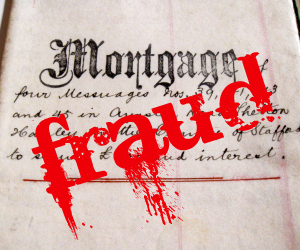 According to court records, White inflated his bank account balances, income, deposit and assets to fraudulently induce the mortgage lender to issue a mortgage loan in excess of $4.9 million dollars. The property was subsequently foreclosed by the lender resulting in substantial losses. In Case No. 14-60282-CR-Dimitrouleas, White pled guilty on November 21, 2014 to six counts of wire fraud. According to court documents, White was a licensed real estate broker and owner and operator of the Christopher White Group in Fort Lauderdale. White obtained multiple real estate deposits in excess of $750,000 via wire transfers involving properties in Broward County from individuals and refused to return the escrow deposits. Subsequently, the Secretary of Florida’s Department of Business and Professional Regulation ordered an emergency suspension of White’s real estate broker’s license. In Case No. 14-60216-CR-Dimitrouleas, White pled guilty on November 21, 2014 to three counts of making material false statements to U.S. Citizenship and Immigration Services. According to documents filed with the court, these statements were included on White’s April 16, 2014, application for naturalization submitted to the U.S. Department of Homeland Security, U.S. Citizenship and Immigration Services. White made the following material false statements in his naturalization application: (1) that he had never claimed to be a U.S. Citizen; (2) that he had never committed, assisted in committing or attempted to commit a crime or offense for which he was never arrested; and (3) that he had never failed to support his dependents. This entry was posted on Friday, February 6th, 2015 at 8:11 pm and is filed under Uncategorized. You can follow any responses to this entry through the RSS 2.0 feed. You can leave a response, or trackback from your own site.